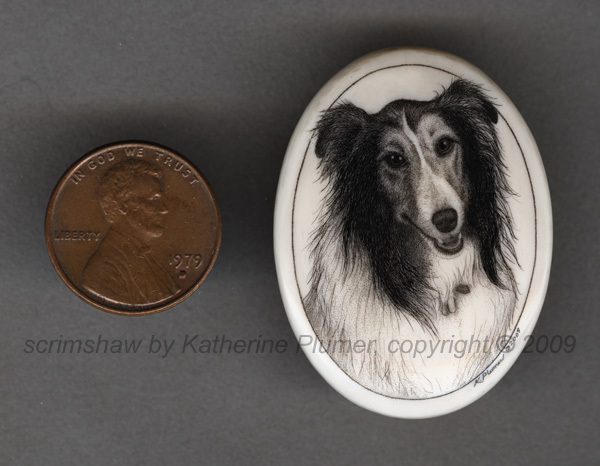 My life, under the microscope...: Sheltie dog scrimshaw done! Bravo! Double bravo! Triple bravo! 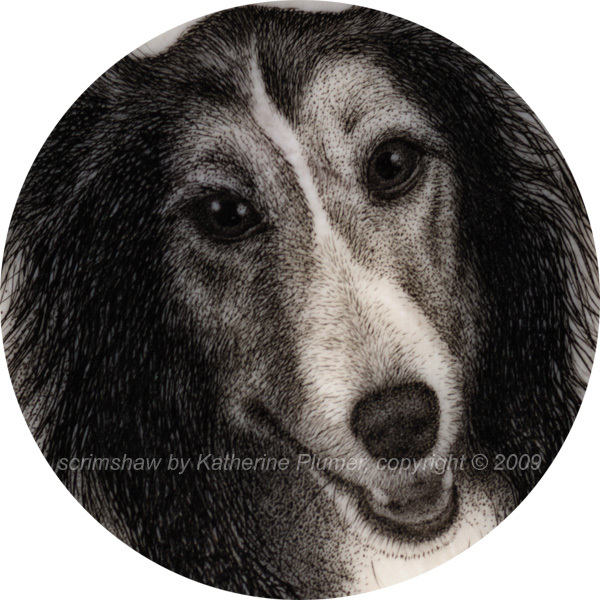 I couldn't capture that expression...those eyes...on a 3'x5'canvas....You did it in a space just larger than a penny. You are a very talented artist!!!! 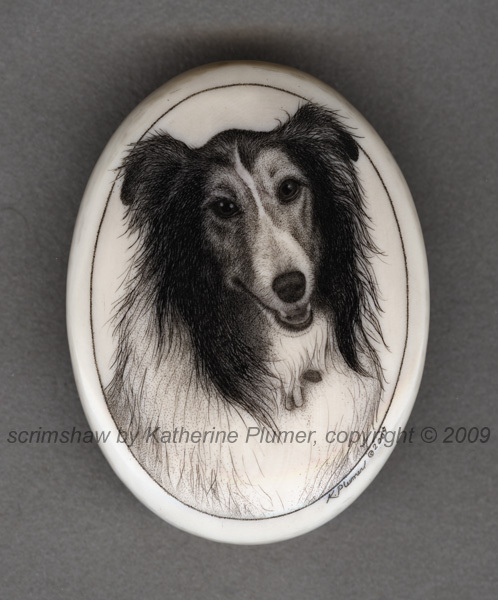 WOW Catherine,the 'Sheltie'dog portrait,another awesome piece of your wonderful scrimshaw Art (yes with a Capital 'A') I'm a fan since I saw some of your photo's on 'the Engravers Cafe' !! Keep up the great work ! Kind regards, Paul. be still my bird nerd heart!